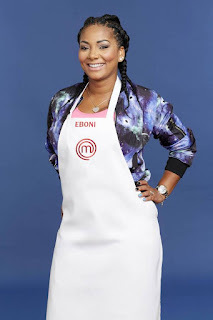 MasterChef US Season 8 Contestants Where Are They Now? 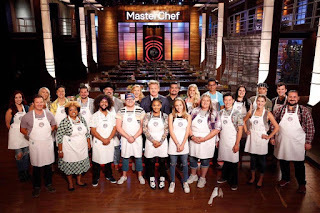 MasterChef US features judges Gordon Ramsay, Graham Elliott and Christina Tosi testing the culinary skills of amateur chefs from the USA with a number of challenges and dishes to prepare, with those failing to impress being sent home. MasterChef US Season 8 aired May 31 to September20, 2017 on Fox Network, there were 20 contestants and the prize for the winner was $250,000, their own cookbook and a MasterChef trophy. Adam Wong was a Harvard Student from Cambridge, Massachusetts. He was eliminated from MasterChef in episode 13 after a chicken and potatoes cook off with Caitlin. After the show, he is an intern at Niskanen Center. He vlogs his recipes on YouTube. Brien O'Brien worked in Magazine Ad Sales and was from Redding, California. He was eliminated from MasterChef in episode 9 after a cannoli pressure test. After the show, he has returned to Culinary school and vlogs about the experience. He has an intern placement at Bouchon Bistro. Cate Meade was a Nutritionist from Chicago, Illinois. 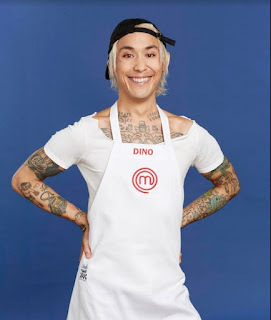 She was eliminated from MasterChef in episode 19 after a cheese soufflé skills test against Dino. After the show, she is a Personal Meal-Prep Chef, offers Private Dining experience and cookery classes. Caitlin Jones was a Dancer from Pittsburgh, Pennsylvania. 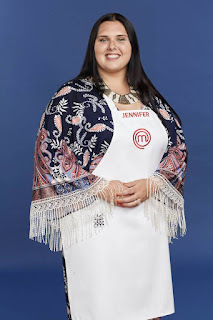 She was eliminated from MasterChef in episode 14 after a Mexican platter Team Challenge. After the show, she is a Personal Trainer, Event Caterer and a food blogger. Daniel Pontes-Macedo was a Substitute Teacher from Medford, Massachusetts. 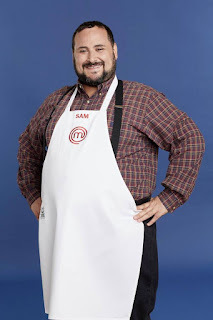 He was eliminated from MasterChef in episode 15 after a chocolate truffles challenge saw him in the bottom three. After the show, he is a Private Chef, caters small events and teaches cookery classes. He is an Executive Chef at Becks's Bistro Catering. Dino Angelo Luciano was a Dancer from Bensonhurst, New York. 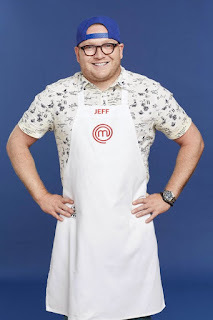 He was the MasterChef season 8 winner due to his unique menu with a twist of traditional dishes of squid ink pasta, lamb chop and tiramisu. After the show, he has hosted a number of exclusive dinners and pop up dining experiences and is currently Executive Chef at Muse and Market in Phoenix. Eboni Henry was a Addiction Counselor from Chicago, Illinois. She was a MasterChef season 8 runner up. After the show, she is a Private chef offering private dining experiences. Gabriel Lewis was a Fast Food Server from Oklahoma City, Oklahoma. He was eliminated in episode 16 after his cannelloni lands him in the bottom two. 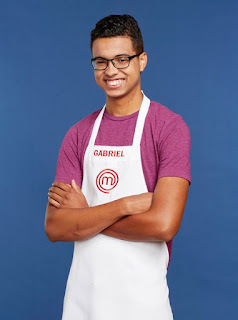 He is offered culinary training by Gordon and Aaron offers a job after his training. After the show, he took up Gordon's offer and studied at Johnson & Wales University’s Denver campus's Culinary School. He is now a Private Chef offering private dinners and events catering. Heather Dombrosky was a Registered Nurse from Miami, Florida. 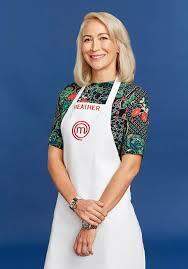 He was eliminated from MasterChef in episode 5 after a scrambled eggs elimination challenge lands her in the bottom two. After the show, she works for a medical tech company and is a Private Chef for dinner parties. Jason Wang was a High School Music Teacher from Newton, Massachusetts. He was a MasterChef season 8 runner up. 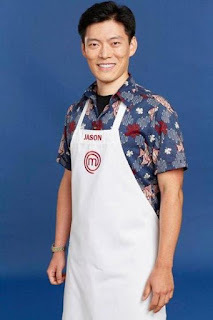 After the show, he is a Chef, Culinary Instructor and TV host on Jason On Mission on FOX Taiwan. He is also a freelance Tenor singer. Jeff Philbin was a Marketing Director from Tampa, Florida. 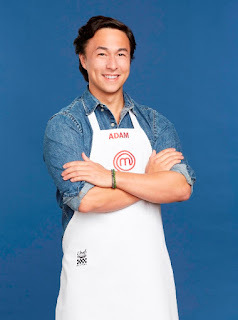 He was eliminated from MasterChef in episode 18 after a salmon elimination challenge. After the show, he returned to his previous role as a Marketing Director until June 2018. He is currently a restaurant consultant and Private Chef. Jennifer Williams was a Debt Collector from Chalmette, Louisiana. 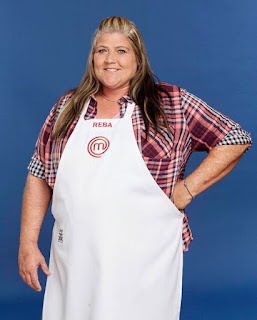 She was eliminated from MasterChef in episode 7 after a fish and chips pressure test. After the show, she is a Communication Director and offers private dining experiences in her home. Jenny Cavellier was a Special Needs Therapist from Cincinnati, Ohio. 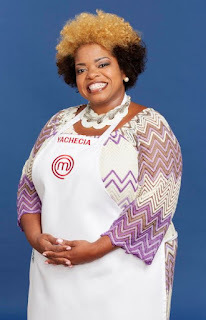 She was eliminated from MasterChef in episode 12 after a crawfish dumpling pressure test landed him in the bottom two. After the show, she is a training supervisor in the medical profession. Mark Togni was a Stay-at-home Dad from Portland, Oregon. 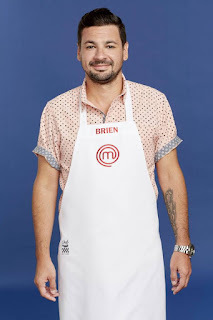 He was eliminated from MasterChef in episode 3 after a retry of a Mystery Box challenge. After the show, he returned to being a Stay-at-home Dad. 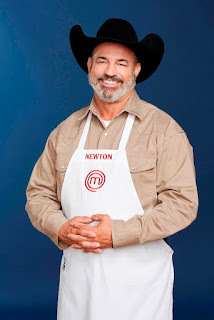 Mike Newton was a Ranch Owner from Lipan, Texas. 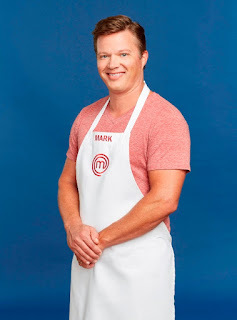 He was eliminated from MasterChef in episode 11 after a champagne poached oysters pressure test. After the show, he is a Private Chef offering private dining experiences and pop up dining events. Necco Ceresani was a Marketing Manager from Newberry, South Carolina. 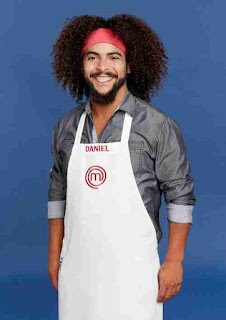 He was eliminated from MasterChef in episode 8 after a hanger steak elimination challenge landed him in the bottom two. After the show, he is a writer at Venture Fizz, a Marketing Manager and a Growth Hacker at logmein, a remote access company. Paige Jimenez was a Swimsuit Model from Honolulu, Hawaii. 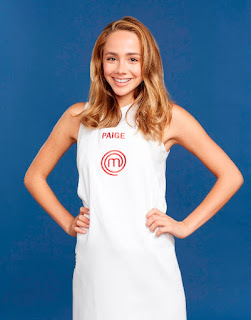 She was eliminated from MasterChef in episode 4 after a grilled pork chop pressure test lands her in the bottom two. After the show, she returned to culinary school and got her culinary degree. She also continues to model. Reba Billingsley was a Stay-at-home Mom from Carthage, Texas. 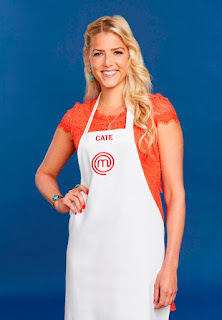 She was eliminated from MasterChef in episode 10 after a coconut elimination challenge lands her in the bottom four. After the show, she is writing her cook book and regularly posts recipes on social media. Sam Reiff-Pasarew was a Creative Writing Teacher from Washington D.C. 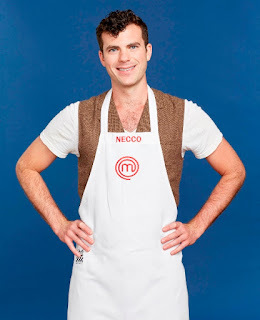 He was eliminated from MasterChef in episode 6 after a lamb elimination challenge landed him in the bottom two. After the show, he is Executive Producer/Founding Company Member at Story Pirates. He has done a number of pop up cookery events and regularly posts food pics on social media. Yachecia Holston was a Minister from Detroit, Michigan. 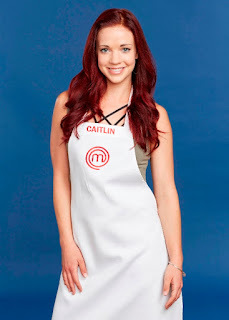 She was eliminated from MasterChef in episode 18 after a salmon elimination challenge. After the show, she is a Private Chef offering private dining experiences and has done a number of pop up cookery events.